Lexicon®, a Harman International (NYSE-HAR) company today announced the latest software upgrade for its PCM92, which allows users to configure and use optional foot switch and foot controller capabilities through existing connections on the back of the unit. Now musicians have complete real-time control over changing presets as well as adjusting various parameters during their live performances. A simple ¼” TRS connection between the PCM92 and a foot controller and foot switch makes it easy for a musician to change presets and adjust parameters during a performance. Users can create a sequence of presets, called preset chains, which can be easily cycled through using a 2-button momentary foot switch or make real-time parameter adjustments with a variable position foot controller. The software update includes multiple foot pedal-enabled options including: preset chain configuration, foot pedal calibration, foot switch setup and the ability to restore factory defaults. Delivering 28 mono and stereo reverbs, delays, and modulation effects, flexible routing configurations, and a comprehensive library of more than 1,200 factory presets, the PCM92, with the latest software update, continues to be the most advanced audio processor in its class. “Lexicon is proud to continue reaching the next level of musical performance and will continue to support all of our dedicated musicians through precise, easy-to-use equipment,” continued Faby. For more information on downloading the free software upgrade and instructions on how to use Harman HiQnet™ System Architect to update the PCM92, visit the downloads section of the Lexicon website http://www.Lexiconpro.com . In addition, a PCM92 User’s Manual Addendum is available that fully explains the new foot switch and foot controller functionality. DigiTech®, a leading manufacturer of guitar and bass processors, and a Harman International company (NYSE-HAR), is shipping the highly anticipated JamMan® Stereo Looper pedal. The JamMan Stereo packs all the features of the legendary JamMan plus stereo I/O, reverse playback, Rhythm Output, and three stop modes. The JamMan Stereo will store over 35 minutes of stereo, CD-quality loops in 99 loops internally as well as having a SD memory card expansion slot, giving the artist the ability to store up to 16 hours of material in an additional 99 slots with the optional card. 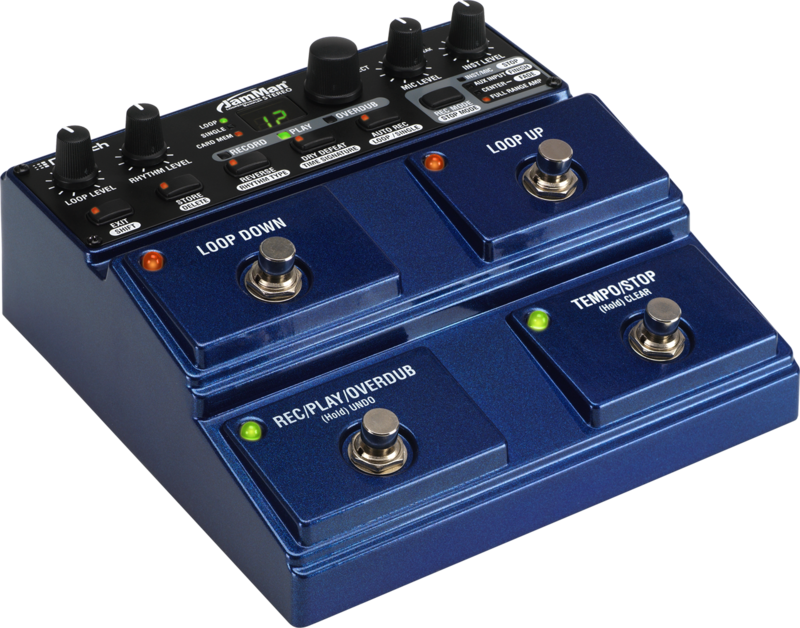 The JamMan Stereo features USB connectivity and will sync to DigiTech’s free, downloadable JamManager™ software that organizes and saves JamMan loops to a PC or Mac. The software also provides the user with the capability to create JamLists and have them available for use anytime. “We reinvented loopers nearly a decade ago with the original JamMan® and now we are reinventing loopers again with the new JamMan Stereo. We are always striving to give musicians new ways to be creative and unique,” stated Jason Lamb, Marketing Manager for DigiTech. In a move to provide systems integrators with deeper knowledge of the features, benefits and applications of the AVB protocol for multichannel A/V networking over standards-based Ethernet, Harman Professional will hold multiple training sessions and discussions throughout InfoComm 2010 that focus exclusively on the new protocol. The training sessions and discussion will take place at the Las Vegas Convention Center on separate days throughout the 3-day exhibition, while its new AVB system, which demonstrates the benefits of the technology with an emphasis on Houses of Worship applications, will also be on display at the Harman Professional booth, number C6236. 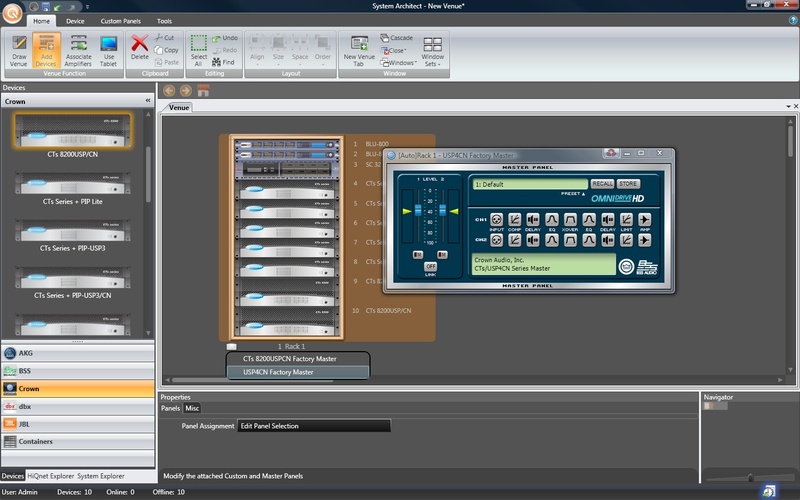 The House of Worship demonstration system features the three interconnected elements of Harman’s AVB system solution: next generation hardware, next generation software, and the next generation audio network. The next generation hardware consists of a dbx SC Series digital matrix processors, Crown CT series amplifiers with USP4/AVB installed, BSS Audio AVB wall plates, and the BSS Audio / Netgear Ethernet AVB switch. The system is operated through next-generation software HiQnet System Architect™ version 2 with its new configuration and routing paradigms based on designing the system directly ‘into’ a floor plan of the venue; all audio running over the next-generation audio network, Ethernet AVB. Visitors to the booth will not only be able to experience the extrodinary simplicity of Harman’s AVB routing mechanisms, but also take real-time control of the system with System Architect’s new full-screen kiosk mode functionality. The first public event, a training session entitled “Designing The World’s First Ethernet AVB Systems With HiQnet System Architect”, will focus on configuring an Ethernet AVB system with System Architect in a House of Worship system design, and will take place on Wednesday June 9 from 2:30pm-4:30pm at room N208. It will be hosted by a complete Harman Professional team, including Adam Holladay and Tom Cram for SDIG, Iain Gregory for dbx / BSS Audio, and Brad Benn for Crown. The next event will be an AVnu Alliance™ panel - featuring representation from Harman International, and several other AVnu Alliance member companies - and will take place on Friday, June 11 from 10:30am-12:00pm in room N219. The panel will discuss the new IEEE 802.1 AVB standards and how they affect the A/V community. See avnu.org for more information about the alliance. Harman Professional will also be showcasing its new AVB product technologies along with other members of the AVnu Alliance at the AVnu Alliance Pavilion at booth number C7934 throughout the show. As it has done for the past three years, Los Angeles-based Swing House Productions provided live audio services and event production for performances at the Rusty Spurs club in Austin during the South by Southwest festival. This year, however, Swing House made a change by drawing from its own audio inventory for the festival, deploying a Soundcraft Vi4™ console for Rusty Spurs’ indoor stage and a Soundcraft GB4 console for a smaller stage in the outdoor area. Starting out as a rehearsal studio, Swing House Productions has expanded into studio recording, rental department, full event production and Artist development and Management. The company’s work at South by Southwest is an extension of its relationship with the renowned Roxy music club in Hollywood. “Each year at South by Southwest, the Roxy sponsors one venue in Austin and that venue essentially transforms into the Roxy for the week,” says Phil Jaurigui, President of Swing House Productions. This transformation includes performances by artists who are synonymous with the Roxy. To wit, this year saw the likes of Tom Morello’s Street Sweeper Social Club, Minus The Bear, Michael Monroe of Hanoi Rocks, and Grace Potter and the Nocturnals. In total, Rusty Spurs hosted 112 bands over the span of five days. Because Rusty Spurs does not normally feature live music, the onus fell on Swing House to not only set up a complete audio system, but one that would recreate the feel of the Roxy. “Rusty Spurs is a regular bar with no stage and no PA, so we provided the PA, the backline, the staging and everything else that it takes to change a country bar into a rock and roll nightclub,” Juarigui says. To that end, Swing House brought its Vi4 console from its Los Angeles headquarters to Austin for the week. The audio system also included JBL SRX728 loudspeakers and SRX718S subwoofers for the main stage, with powered JBL EON15 portable loudspeakers for the outdoor stage. Crown amplifiers power the audio system, which also includes system EQ from dbx. HardWire®, a leading manufacturer of guitar pedals and a Harman International brand (NYSE-HAR), is pleased to announce that guitarist Bill Kelliher from the Atlanta-based heavy metal band Mastodon is using HardWire® pedals both in the studio and currently on tour. “The HardWire pedals give me the tones that I’ve been looking for and are hardwire bypass. HardWire pedals are the most tour-worthy pedals on the planet,” stated Kelliher. Currently, he has loaded his touring pedalboard with the Valve Distortion. The SC-2 Valve Distortion Pedal that Kelliher uses provides two types of harmonically charged distortion tones: Crunch and Saturated. The Crunch Mode provides the player with plenty of gain along with mids that cut through onstage. Saturated Mode adds extra gain for maximum sustain, making it ideal for solos. As with all HardWire pedals, the SC-2 is crafted from premium all-metal components to perform night after night, tour after tour. Each HardWire pedal also features an assortment of tour-worthy accessories like green gaffer tape common to pro pedalboards, Stomplock™ knobguards to maintain pedal settings, and a hook & loop pad to fasten the pedal to a pedalboard. Kelliher and Mastodon are currently on world tour with Metallica and kick off their upcoming US tour later this month. 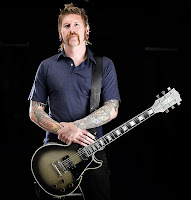 To learn more about Bill Kelliher and Mastondon you can visit: http://www.mastodonrocks.com/. The DigiTech HardWire guitar pedals are now available with an MSRP starting at $99.99. Professional technical A/V consultant Under the Wire, recently completed construction on the home studio of guitar legend Zakk Wylde, installing a multitude of dbx® equipment to help Zakk and his band, Black Label Society record their new album, which is set to be released the summer of 2010. Black Label Society’s FOH man, Dave Allen and Fagan have been friends for numerous years before the two met again at Wylde’s new studio. Allen put Fagan in touch with Jeff Harris of dbx when BLS was looking for a total sound turnaround. 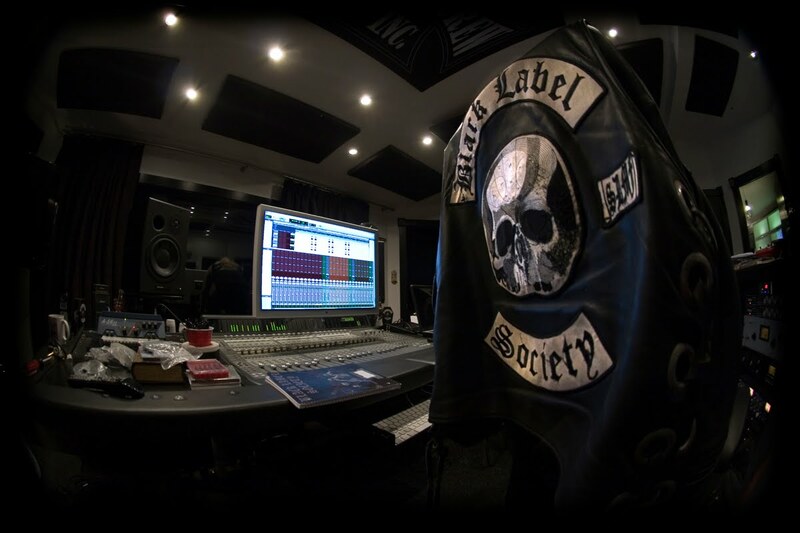 “Jeff came on board and provided us with great advice for the studio, recommending all of the equipment that would give BLS the ultimate sound for their new record,” continued Fagan. At the project’s completion, the eager team patiently waited to hear their recordings through the latest dbx equipment. Fagan continued, “The only issue we had with hooking up the new equipment was doing it as fast as we could to start using it.” The team couldn’t be happier with the results as the entire renovation plan went flawlessly, with no problems stemming from either the gear or installation. “The entire process from start to finish went so smoothly and quickly that the soldering iron was still hot when I ran into the studio to start working on the new album,” stated Wylde. For more information on Under the Wire Services, visit www.underthewire.tv. In the two decades since Ozzy Osbourne hired him away from his job at a New Jersey gas station to become his new guitarist, Zakk Wylde has established himself as a guitar icon known and revered the world over. Writing and recording with Osbourne led to multi-platinum success, inspiring him to create the now legendary Black Label Society in 1998. In the decade plus since, BLS has turned the notion of what a rock band should be upside down by inspiring legions of fans (known as Berserkers) all over the world to follow the mantra: Strength, Determination, Merciless, Forever (SDMF for short). Wylde and his Berserkers have established a heavy metal institution true to the vision of uncompromising, unfiltered and unrestrained rock n’ roll. In an introduction that brings high performance capsule technology and market proven reliability to the broadest fixed installation market, AKG today introduced the comprehensive line of 99er microphones. With nine different products in the line that provide nine different applications, the 99ers are a diverse group of microphones that offer a solution for nearly any installed sound application. The new line – which consists of the CGN99, CHM99, CBL99, CK99 and the DGN99 - incorporates components from classic AKG products such as the capsule of the C542 BL boundary layer microphone and the well-proven acoustical components of the discreet gooseneck range. All of the microphones are equipped with proper RF shielding to meet the high demands of electromagnetic compatibility in everyday installations. The family consists of nine microphones for nearly any typical installed sound application, including: conferencing, paging, surveillance, on-stage use and recording. The condenser gooseneck range includes the CGN99 C/S, CGN99 C/L, CGN99 H/S and CGN99 H/L, which provide both cardioid or hypercardioid polar patterns and can come on a short or long gooseneck stand. This range is the perfect solution for conferencing systems, lecterns, podiums and altars, too. Also included in the 99er range is the CHM99 hanging microphone on a 10 m twist-free cable. Available in either black or white, the CHM99 is an ideal microphone for teleconferencing applications, theaters, or as a choir microphone in a house of worship. Also included in the 99er range is the CBL99; a compact boundary layer microphone using technology from high-end studio mics. It has a high sensitivity and a wide frequency range, and is optimised for use as a low profile desktop microphone in conference situations as well as choir or instrument applications. Rounding out the 99ers is the CK99 – a small lavalier microphone with a cardiod pickup pattern that makes it a feedback resistant-robust solution for speeches and house of worship applications- and the DGN99; a rugged, versatile microphone designed for all paging purposes, such as in a shopping mall or for transportation applications. 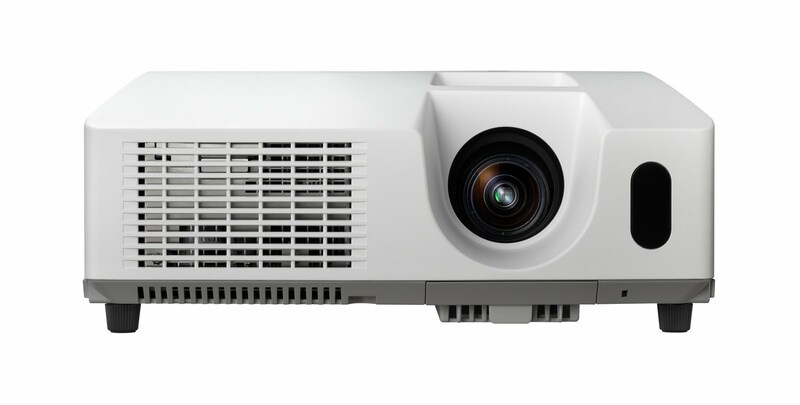 The DGN99 is also available on a desk stand with a PTT switch as the DST 99 S.
Hitachi America, Ltd., Digital Media Division, Business Solutions is introducing the CP-X3011 3LCD projector, which offers a brightness of 3,200 lumens and a 2000:1 contrast ratio. The CP-X3011 features 16 Watts of built-in audio while maintaining a low noise rating of 29 dBA in Eco Mode. In addition, the CP-X3011 features a long lamp life of 3,000 hours in Standard Mode and 6,000 hours in Eco Mode. The CP-X3011 features Hitachi’s proprietary My Buttons functionality, enabling two programmable buttons on the projector to execute any command. The CP-X3011 also offers Input Source Naming allowing users to rename input sources to fit their needs. Closed Captioning functionality is also available with the CP-X3011. The CP-X3011 includes a hybrid filter that only requires maintenance once every 5,000 hours, providing users with a lower total cost of ownership. With the CP-X3011’s Audio Pass Through function, the projector can output audio in stand-by mode, allowing audiences to listen to external speakers via the projector’s audio output. Moreover, the projector’s Power Saving Mode reduces the stand-by power consumption to 0.5W. The CP-X3011 contains several features that are exclusive to Hitachi. One of these is the Template Function which allows users to select one of four free-line templates that are very useful when writing on a whiteboard. Second, the Whiteboard Mode limits the peak white by changing the gamma curve. When the projector is used with a whiteboard, this feature limits brightness to protect the eye health of teachers and students. Third, the IR Remote Frequency Change Function enables the frequency of the IR remote control to be changed from the menu to avoid conflicts with fluorescent lights or IR signals from a notebook PC. Lexicon®, a Harman International Company (NYSE-HAR), has released new Windows 7 software drivers for Alpha, Lambda, Omega and the I∙ONIX U22, U42S, and U82S series of Desktop Recording Interfaces. Now all of the Lexicon USB Desktop Recording Interfaces operate seamlessly on any computers running 32-bit or 64-bit Windows 7, Vista, or XP. Also, these interfaces operate on all Mac computers operating on OS X 10.4.9 or higher regardless of whether they are based on PowerPC or Intel processors. Designed to sit in the perfect location when using your DAW, between the keyboard and monitor, the I·ONIX Series is crafted from the highest quality components to ensure superior recordings. Each I·ONIX recording interface features newly designed dbx® 60V high-voltage, ultra-low noise microphone preamps on all analog inputs which are coupled with high-definition converters to ensure pristine 24-bit/96kHz audio to capture every subtle detail of the performance. The Alpha, Lambda, and Omega Desktop Recording Studios are the perfect choice for anyone putting together their first home recording studio. Each of these completely integrated recording systems has all the tools needed to transform your computer into a professional 24-bit digital recording studio. The newly updated drivers can be downloaded free from www.Lexiconpro.com. Showcasing the superior audio quality and sophistication of AKG microphones and wireless microphone systems, sound designer Professor Wolfgang Fritz recently outfitted the Vienna Opera House with a complete AKG package in preparation for Vienna’s Opernball. The package - which included the WMS4500 high-end wireless system, 19 bodypacks and various microphones - was used to support all live sound needs during the opulent promenade, and also drove the live recordings of the Opera Ball Orchestra to ensure clear, memorable reproductions. Vienna’s Opera Ball is widely considered to be one of Europe’s largest and most elegant social functions, and frequently attracts some of the world’s most accomplished musicians, politicians and celebrities. For the event, Fritz selected a 20-channel WMS4500 high end wireless system with 19 bodypacks and one handheld microphone, an HC577 headworn microphone with a unique CK77 capsule for the actors, two PT4500 with a CK77 microphone for a moveable piano, and one C414 and C391 microphone each used for the orchestra. 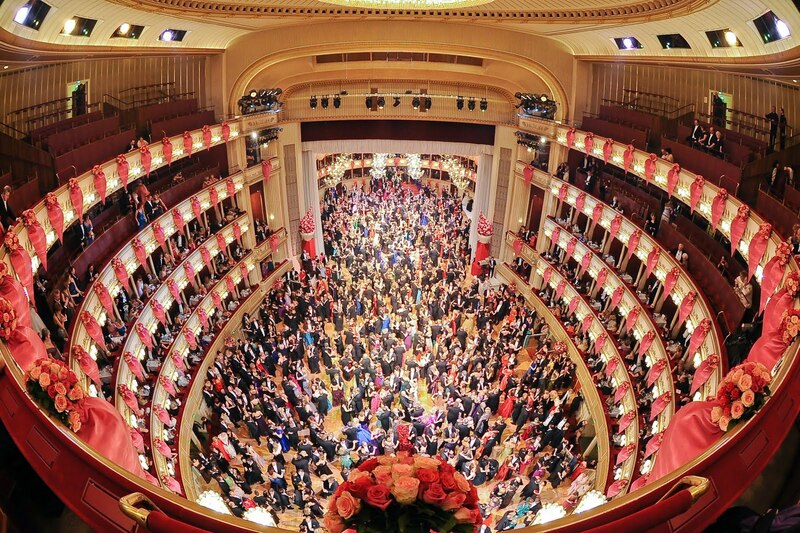 This year’s ball was held in the auditorium of the Vienna State Opera House. In preparation for the event, the auditorium was turned into a large ballroom overnight by removing the seats and installing a new floor that lined up flush with the stage. Fritz and his team then measured the audio acoustics while deciding the best equipment to use, ultimately selecting the AKG package for its ability to deliver clear, powerful sound at an affordable price. Consulting and live design company Visual Worshiper, with the help of Hitachi CP-A52 short-throw projectors, designs and implements interactive religious sets to enhance and increase participation of church-related events throughout the nation and around the world, in an effort to create a more dynamic environment for church congregants. With the cost of a live production or an effects-heavy sermon too high for many religious venues, Hitachi projectors, multiple screens and a mix of pictures and pre-designed animations brings a unique flare to these presentations while keeping the cost at a minimum. The CP-A52 projectors easily allow the pictures and animations, ranging from static images to intricate lighting animations, to be projected from the floor of the stage, in front or right behind the screens, while taking up minimum space - approximately one foot between the projector and screen. “These visual presentations really make our events stand out, because it is something fresh and engaging for our visual culture,” Mr. Ware continued. For more information about Visual Worshiper, visit their Web site at www.visualworshiper.com or their blog at www.visualworshiper.com/blog. Demonstrating the quality and dependability of JBL LSR4300 Series studio monitors, New England-based Sunrise Pictures has established itself as one of the leading film production companies in the region with JBL’s LSR monitors playing an anchor role in the company’s audio system. 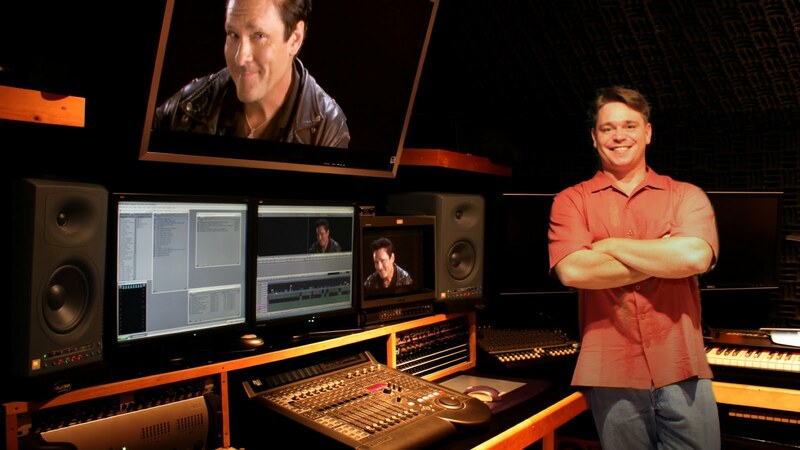 Since the success of Being Michael Madsen, Sunrise Pictures has continued to grow its business with its enhanced audio capabilities. “We have used the JBL monitors for every project since we purchased them and they have been nothing short of spectacular,” Warren said. For more information on Sunrise Pictures, please visit www.sunrisepictures.com. In an introduction that couples the versatility of its customizable Architectural Microphone Series with an unparalleled level of convenience, AKG is making its AMS Online Configuration Tool live at the beginning of May 2010. The new tool effectively streamlines the customization process for users seeking to personalize their AMS microphones, and will allow for online selection of over 6,840 customizable settings with an easy to use, interactive website. The website allows for users to customize their microphones based on seven different variables: capsule design, polar pattern, gooseneck length, connector style, printing, color, and accessories. With the click of a button, users will be able to select from five different capsule designs, including a signal, tech, turrent, flow or cross design. There is an option for hypercariod, cardiod, and omnidirectional polar patterns, and an option for connection preference, based on the most common use of the microphone. In addition to the functional settings, there are also a number of pages on the website where users can adjust the aesthetic qualities of the microphone. There is an option to adjust the neck length from 15 cm to 30 cm to 50 cm, change the color or finish, and even decide what’s printed as a logo. Finally, after the functions and appearance of the microphones are set, users can choose to add a number of different accessories, including: different types of mounting clips, a stand adapter, a screw set, and a windscreen for greater capsule protection. Soundcraft Studer has announced that Mike Stock, one of television’s most successful audio engineers, will be on hand at the Harman booth (#C2619) at the NAB show on Wednesday, April 14 from 10 AM to 6 PM. NAB attendees are encouraged to visit the Harman booth to meet with Stock, and to see Soundcraft Studer’s latest product offerings for the broadcast industry. Stock’s visit is part of Soundcraft Studer’s “Mixing With Professionals” program, which centers around many of the industry’s most accomplished audio engineers and their experiences with Soundcraft and Studer consoles. 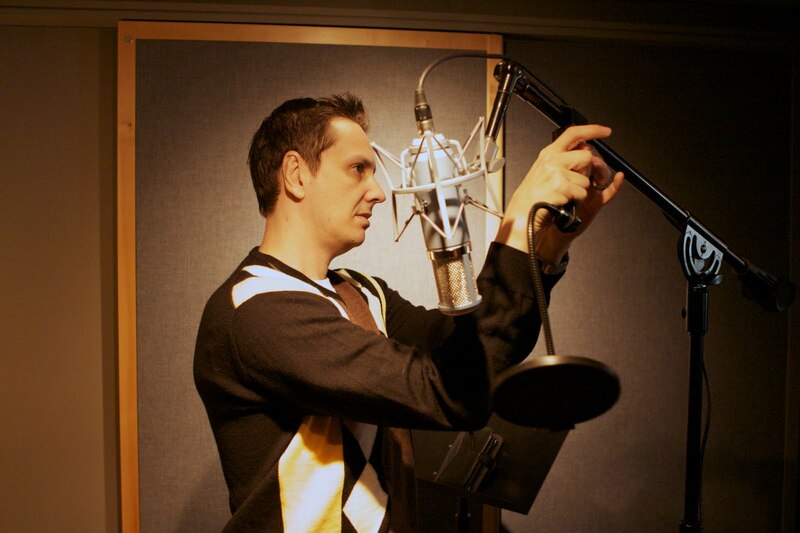 Stock has served as production sound mixer on a variety of television programs, including “Dr. Phil,” “The Doctors,” “The NFL on FOX,” “The Bachelor” and “The Tonight Show with Conan O’Brien,” as well as numerous live events on the TV Guide Channel. The Studer Vista 8 combines powerful broadcast features with dynamic automation to offer a highly sophisticated and flexible multipurpose live broadcast desk. The Control Bay design offers 10 faders in a small footprint, making it ideal for both fixed install broadcast and OB van applications. In addition, a sophisticated snapshot system and dedicated mute groups make this also the perfect choice for fixed install live applications. The Vista 8 also incorporates the worldwide acclaimed Vistonics™ user interface. Three Regional Sound Companies, V&P Sound Pvt. Ltd., Sound & Light Professionals and SoundEffects.Com Collaborate for Sound Reinforcement of Major Music Festival. NORTHRIDGE, California — India started its new year in style, with one of January’s most exciting events being the Hampi Utsav 2010, taking place in the south of the country. A regular annual event in Karnataka at Hampi, a UNESCO World Heritage site, this year’s three-day Festival was held on a grand scale by uniting with the 500th anniversary celebration of the Vilayanagara emperor, Sri Krishnadevaraya’s ascendancy to the throne. More than 300 hundred artists performed over three days on a 200 ft. x 100 ft. stage at Hampi, with performances that included various music and Indian dance forms by such leading Indian artists as Hema Malini, Mysore, Manjunath, and Pandit Jasrat, along with international performers. The audience was estimated at between 100,000-150,000 people on each of the three days. Three sound rental companies, V&P Sound Pvt. 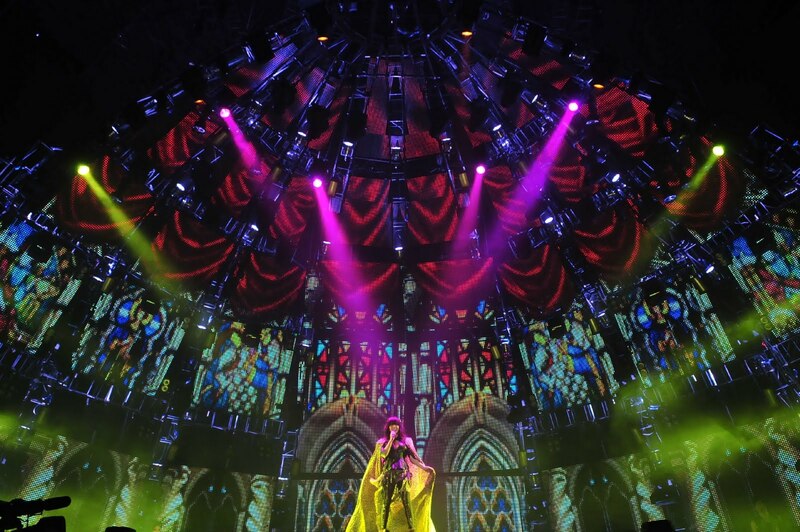 Ltd., Sound & Light Professionals and SoundEffects.Com, collectively provided the sound system for this major event, with JBL VERTEC® line arrays chosen for use as the sound reinforcement system for the primary concert stage. The main left and right array hangs comprised 24 JBL VerTec VT4889s and 16 VT4880A subwoofers, all powered by Crown I-Tech 5000HD, 9000HD, and 12000HD amplifiers. The system relied on JBL’s world-standard V4 DSP presets, developed specifically to take advantage of Crown’s LevelMAX™ multi-stage limiting in the I-Tech HD amps. Additionally, 16 VerTec VT4888s were used for outfills and center fills, with eight JBL SRX 728s in place as the center-located ground based subwoofers. A dbx DriveRack 4800 handled loudspeaker output-zone processing. 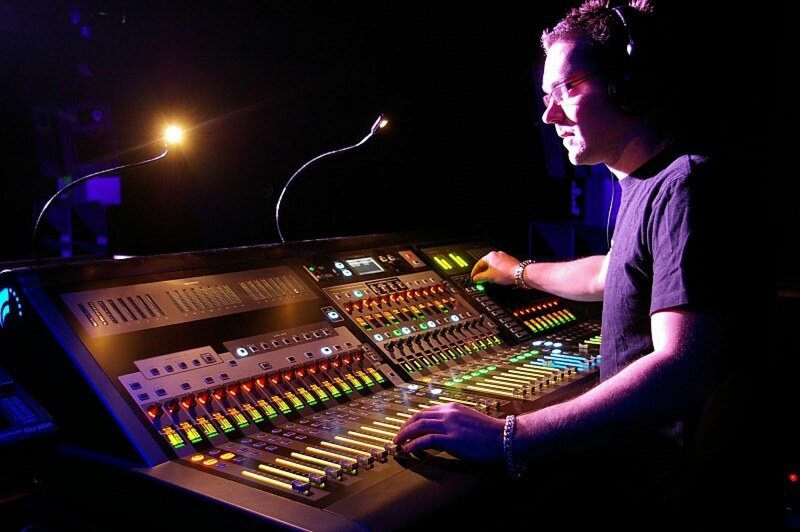 A Soundcraft Vi6 digital mixing console was deployed at the FOH location. Crown I-Tech HD amplifiers feature a user-inspired DSP engine, OMNIDRIVEHD, co-developed with BSS Audio and developed out of the heritage of one of the most storied and successful processors in tour sound. 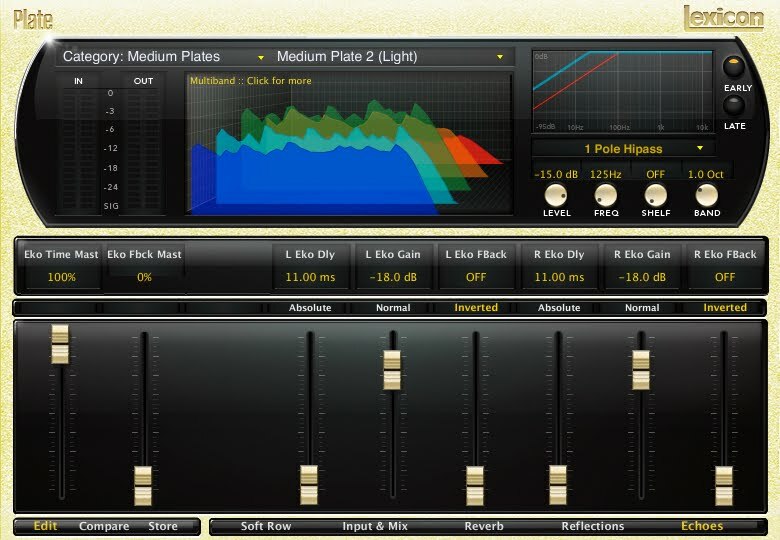 The processing engine features Linear Phase FIR filters that offer unrivaled crossover performance for sonically pure tunings. “It is outstanding to see that the entire range of Harman Professional products played a key role in a highly optimized sound system for this historic music event. The festival created an opportunity for three leading sound companies in the region to come together in a collaborative manner, and the benefit of premium sound performance. We congratulate all three companies on what was a highly successful event,” stated Sushil John, Harman Regional Sales Director for Central Asia. Working with world-renowned artists like Jay-Z, Beyonce, and The Roots, GRAMMY winning producer/engineer Jason Goldstein has developed an ear for what works when it comes to recording techniques. Whether he’s tracking lead vocals, instrumentals, or even overhead drumming, Goldstein has been turning to one microphone that he knows will bring him a smooth, rich, accurate sound: AKG’s Perception 820 Tube. Goldstein learned his craft from some of the most widely respected producers and engineers in the recording industry, including George Massenburg, Mike Schipley, Rick Ruben and more. Working with high-profile producers and GRAMMY winning musicians, Goldstein learned that having the right equipment for the right recording scenario could make the difference between a good and a great track, which is why he recently began using AKG’s Perception 820 Tube for his studio recordings. The vintage tube sound that the Perception 820 Tube delivers is a result of the dual one-inch large diaphragm capsule and the ECC 83 dual-triode circuitry that emphasises even-order harmonics throughout. The switchable bass cut filter perfectly tailors frequency response for close micing, and the 20 dB attenuation pad can be used in high SPL applications, allowing up to 155 dB SPL. The nine polar patterns - which are switchable on the brush finished, anodized aluminium remote control unit – are changeable from omni to figure 8, and each microphone comes standard with a spider suspension shock-mount. Lexicon®, a Harman International Company (NYSE-HAR), is offering a free 7-day trial of the new PCM Native Reverb Plug-In Bundle. This powerful reverb bundle includes seven signature Lexicon reverbs which will change the way you color your mix. It includes unique plug-ins for each algorithm including: Vintage Plate, Plate, Hall, Room, Random Hall, Concert Hall, and Chamber with hundreds of the most versatile and finely crafted studio presets including recognizable classics from Lexicon’s immense library of sounds. 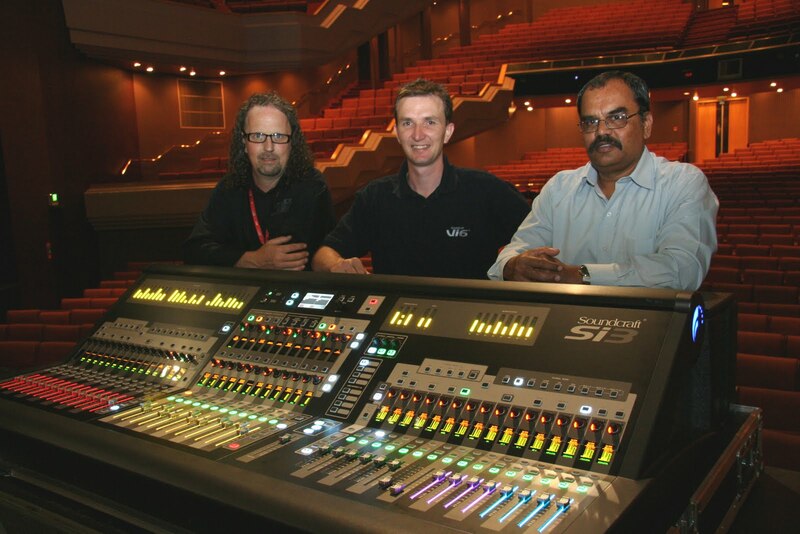 THE EDGE, one of New Zealand’s leading performing arts, commercial entertainment and convention facilities, recently purchased a Soundcraft Si3 console to accommodate its three separate venues. Located in Auckland, THE EDGE is home to the Aotea Centre’s ASB Theatre and Conventions Wing, The Civic and Auckland Town Hall performance venues. With the variety of events in each venue and different requirements for each sound system (not to mention the large number of visiting audio engineers), THE EDGE needed a console that was easy to use with a short learning curve. 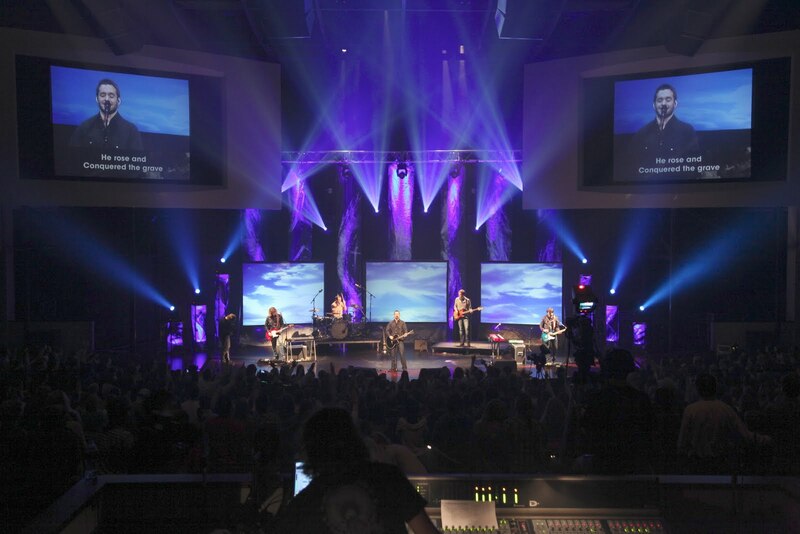 “Our three main venues have different systems, so it was important to have a console that we could configure and save settings for each venue without having to reinvent the wheel each time the desk is moved,” says Production Purchasing Officer Joey Rabel. THE EDGE found the ideal solution in the Soundcraft Si3. “The Si3 has everything accessible on the surface or at least one button push away, which enables even a rookie digital tech to quickly become familiar with operating the desk,” Rabel says. With lots of shows with multiple acts, short sound checks and quick changeovers, the ability to save all settings and recall them instantly is highly appreciated by Senior Sound Engineer Rob Henry. In addition, the onboard processing, dynamics and compact size of the Si3 translates into a reduction in space requirements at the mix position, meaning more audience seats are available. “That’s got to keep the bean counters happy” Rabel quips. “The Si3’s Soundcraft pedigree meant that sound quality and reliability are non-issues and the excellent support from [Soundcraft distributor] Jands Ltd. made the decision to purchase the Si3 an easy one,” Rabel said. UnUsUal Productions, one of the leading event and concert production companies serving China and the broader Asian region, filled Singapore’s Indoor Stadium with its newly-acquired JBL VERTEC® line arrays, powered by Crown I-Tech HD amplifiers, for a performance by Taiwanese superstar Chang Huimei, aka A-mei, and her 2010 Amit Live First World Tour, named after her latest album. The performer’s highly anticipated tour packed nearly 12,000 people each night for back-to-back sold-out shows on January 29 and 30, 2010. Born Gulilai Amit, Huimei has been a number-one recording artist since her first album, Sisters, in 1996, developing a huge fan base for her pop star character, “A-Mei.” She has since released 17 albums throughout the past 12 years. Her current tour is astonishing fans throughout Southeast Asia with a lavish stage production and planned showcases in Malaysia, Hong Kong and other major Asian centers. Responsible to fulfill the audience’s high expectations for the artist, UnUsUal elected to use the high-profile A-Mei concerts as one of the first major events to showcase its new JBL rental sound inventory, deploying VERTEC line arrays and Crown amplifiers as the main sound reinforcement system for the Singapore arena shows. VERTEC line arrays were suspended from a height of 18 meters (59 feet) above the ground for optimal sound dispersion and audience coverage. Thirty-six JBL VT4888 midsize line array elements were used as the main concert speakers, with 20 JBL VT4888 cabinets assigned as side fill arrays. Twenty-four JBL VT4880 full-size arrayable subwoofers were used for extra low-frequency support, with 16 hung and eight stacked at the front of the stage. Crown I-T5000 HD amplifiers powered the VT4888 line arrays, while the VT4880 subs were powered by I-T12000 HDs. The system was configured using Harman‘s HiQnet™ System Architect™ software platform for remote control and monitoring. More information on UnUsUal Productions can be found at http://unusual.com.sg. The family of advanced Soundweb™ processors from BSS Audio™ has been used extensively by one of Dubai’s most progressive system integrators, Bond Communications, to provide end-to-end networking at the Burj Khalifa (formerly Burj Dubai). This project, six years in the making, is the largest ever undertaken by the company — and the tallest building in the world. Located in the Downtown district — and constructed on a 500-acre plot widely described as “the most prestigious square kilometer on earth” — the building itself boasts some amazing statistics. 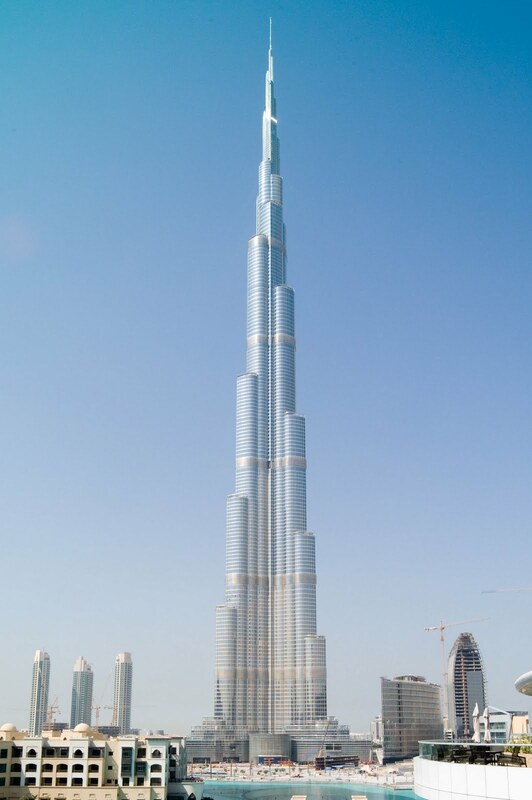 The Burj forms a vibrant community for thousands of residents, employees, hotel guests and tourists, with up to 12,000 people living, working and playing inside a building that stands at more than 800 metres / 2,625 ft. The piéce de rèsistance is the tower’s 124th floor observation deck, ‘At the Top, Burj Khalifa’, which offers 360-degree views of the city and is open to the public. Chataw knew that the design specification called for a CobraNet™ backbone, which would allow any input to be routed to any output over standard Ethernet. Chataw’s team constructed the network around large quantities of the newer Soundweb London family members, launched in January 2008. These include the BLU-800, BLU-320, BLU-160 and BLU-120 — products which feature a 256-channel, low-latency, fault tolerant bus. It works on Cat 5e or Cat 6 cable and allows a direct connection between devices over distances of up to 100 meters. This provided Omar Chataw with another compelling reason for adopting the BSS Audio platform. Each of the other control areas house either two or three amp/processor racks — giving a total of between 22 and 25 for the entire construction. Only the newer Soundweb London products could create a matrix of this size due to the combination of abundant processing capability and the high channel counts involved with the individual devices. As a result each area is able to listen to the same centralized source or to a source different than the others without any interference. The music system covers all the public areas including corridors, lift lobbies, terraces, reception areas — as well as a number of fine dining rooms and bars inside the world-first Armani Hotel Dubai, which are equipped with local source select and volume controls. After receiving rave reviews at its Winter NAMM introduction in January, Crown today began shipping its new line of XLS Series amplifiers. The new line – consisting of four models and offering an unprecedented level of performance and configuration flexibility, will usher in a new era of power amplification at the entry level. 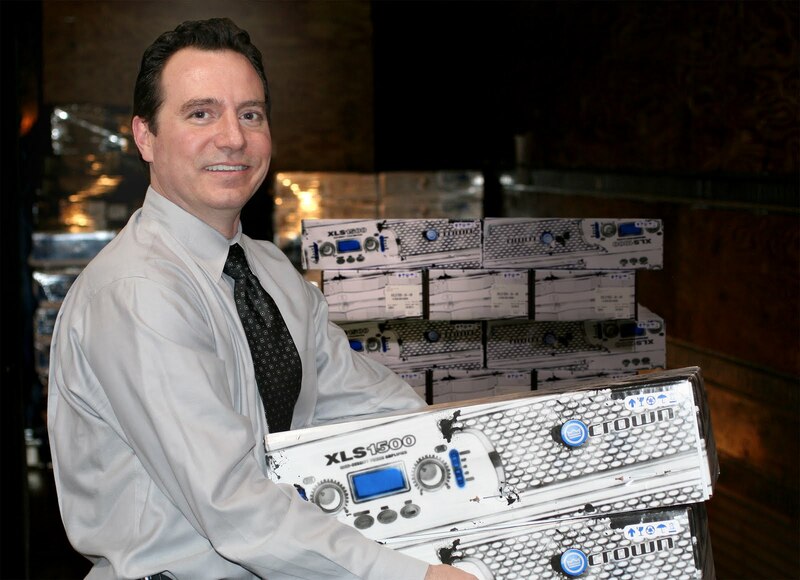 The XLS series amplifiers implement a flexible PureBand™ Crossover System. A user can select crossover points from 50 Hz to 3 kHz, allowing for precise matching of specified crossover points on most bi-amplified loudspeakers. Increased control is also highlighted by the three selectable channel modes and clip limiters designed to protect loudspeakers that can be turned on and off by channel. PeakX™ limiters allow higher output levels than conventional analog limiting while providing assured driver protection, and deploy algorithms derived from the extensive research and development of the OmniDrive HD loudspeaker processing in Crown’s flagship I-Tech HD Series. In another major advance, the new XLS series amplifiers feature Integrated DriveCore™ Technology. Regardless of AC Line sag or distortion due to other equipment such as backline or lighting gear, the user will consistently have the highest level of performance as though there is a power conditioner built directly into the amplifier. It also provides fast recovery on peaks, accurate reproduction of low-level detail, and precise tracking of low-frequencies at high power levels for maximum subwoofer output. The new XLS Series amplifiers are housed in a new premium industrial design chassis, featuring a cast front panel for durability. They also feature integrated rack handles and weigh under 11lbs, making the XLS Series the ultimate portable amplifier.